With the addition and installation of outdoor water features to your landscape you can increase the value and curb appeal with an extraordinary stone garden fountain as a focal point, or the creation of a unique private retreat in your backyard with a garden pond to enjoy with family and friends. 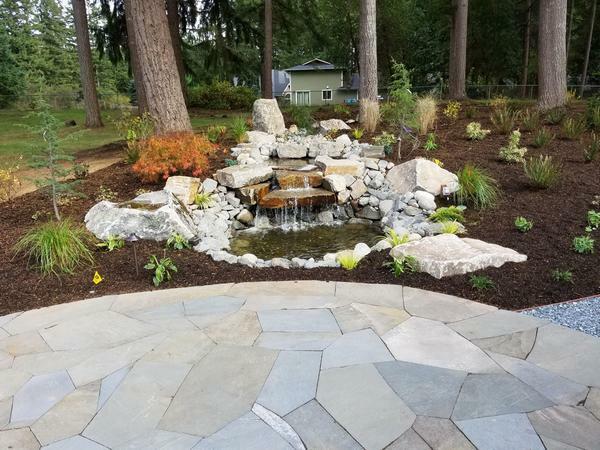 Call us today to discuss how our professional installations of water features can create a distinctive landscape appearance and benefit the surroundings of your home in Federal Way. Every landscape in Federal Way that is meticulously cared for can benefit from a magnificent, tall outdoor water fountain! With the assistance of our design professionals who are known in the area for their artistic creative abilities, we can help create a focal point in your courtyard or circular drive with a freestanding, tiered or wall-mounted fountain installation. Call us to help you sort through the broad range of options, including the best location and a recommended size that will be proportionate to your landscape surroundings and home. 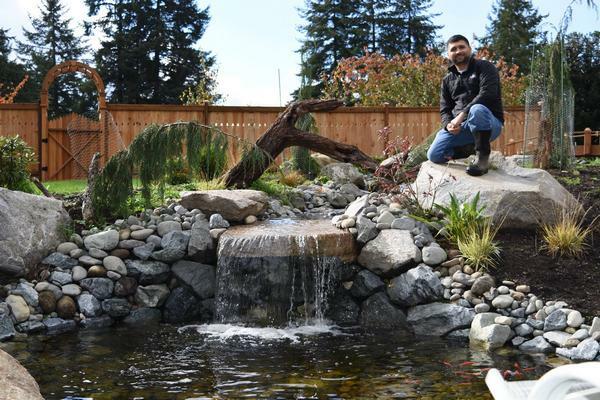 As professionals in landscape and irrigation management serving Federal Way, we can completely transform the environment of your private retreat by bringing the soothing sounds and peaceful tranquility of backyard waterfalls and ponds. 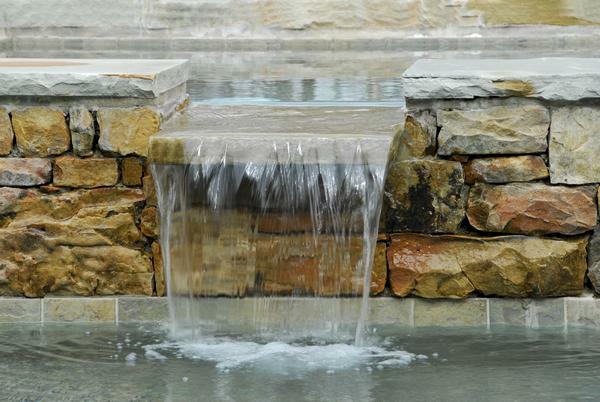 Whether you prefer a formal or informal style, our creative design team can bring the relaxing sound of moving water into your landscape with a natural appearance.